Kawai’s exceptional line of digital pianos is the result of a never ending effort to create the world’s most authentic and innovative digital instruments. Relying on their rich experience in building fine acoustic pianos, Kawai build digital pianos that offer the finest tone and touch available. Wooden-key actions, Harmonic Imaging sound technology, USB digital audio and the unique Soundboard Speaker System are just a few of the innovative features found in Kawai digital pianos and keyboards. 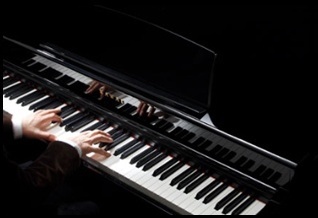 Kawai offer an impressive selection of electronic instruments, from the award-winning Concert Artist digital pianos and Concert Performer Series ensemble pianos to the value-packed CN Series and KDP80 digital pianos. The Classic Series instruments offer the beauty and elegance of ebony polish and traditional styling. For professional musicians and keyboard players on the go, Kawai are proud to offer the flagship MP Series Professional Stage Pianos and the powerful ES6 and EP3 Portable Digital Pianos.